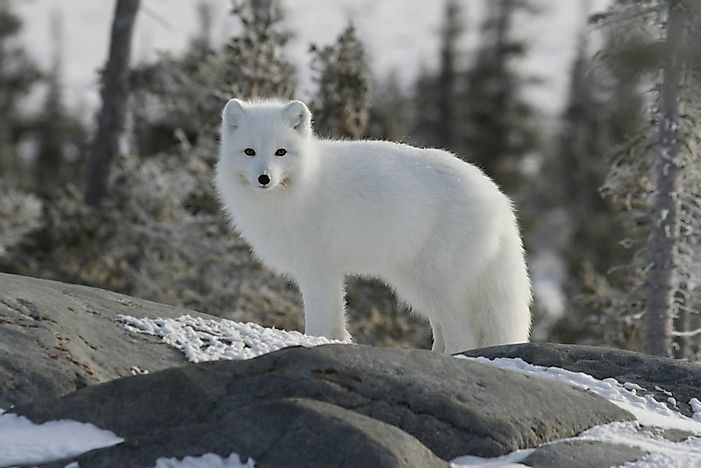 The Arctic Fox lives in the Arctic where it's white fur helps it to blend in with the snow. Also known as the polar fox or snow fox, the Arctic Fox (Vulpes lagopus) lives in the Arctic region of the Northern Hemisphere. 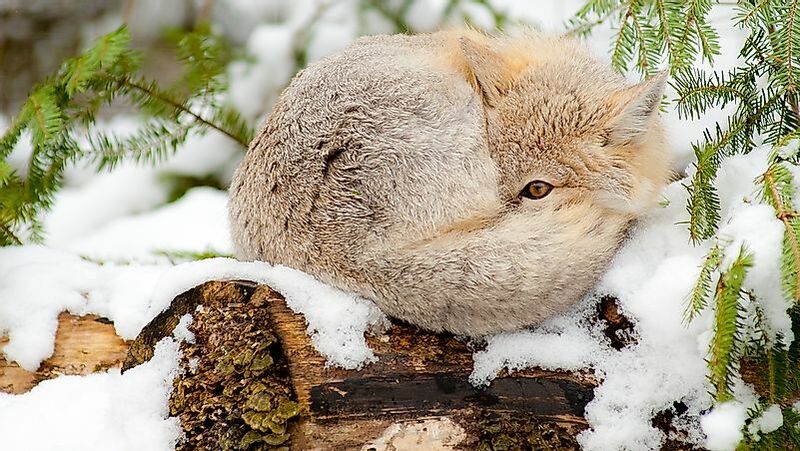 The fox has several adaptations like a thick, warm fur that helps it survive in the cold environment of its range. 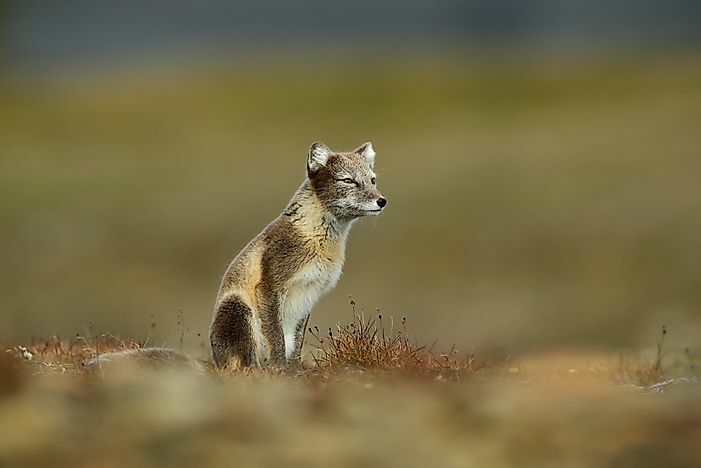 The coloration of the Arctic fox changes to suit the season, going from white in the winter to a brownish-grey in the summer. The fox also has a roughly rounded shape to preserve body heat and its length ranges between 46 and 68 cm. Seabirds, waterfowls, voles, lemmings, fish, etc., constitute the prey of this species. The natural predators of this species include grizzly bears, golden eagles, wolves, red fox, and a few others. The species is labeled as ‘Least Concern’ by the IUCN. The Fennec Fox (Vulpes zerda) lives in the arid habitats of the Sahara Desert, Sinai Peninsula, and the Arabian Desert. This nocturnal species is the smallest of all canids. The fox has large ears that help dissipate heat from the body. 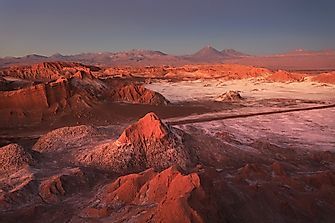 Its kidneys and coat are also well adapted to the dry and hot environment of the desert. The fennec fox can also easily pick up sounds of prey moving underground. Small birds, rodents, and insects constitute its prey. Eagle owls are its most common natural predators. Although the fennec fox is hunted for its fur by the indigenous people and sold as exotic pets in some countries, its numbers are still stable enough for IUCN to label it as a ‘Least Concern’ species. The Pale Fox (Vulpes pallida) is a Vulpes species that is found in the Sahel region of Africa. 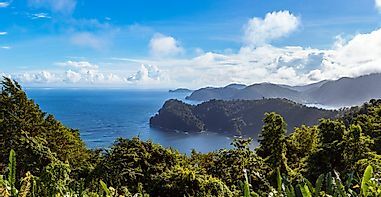 Due to the remoteness of the habitat of this species, very little has been studied about its behavior. 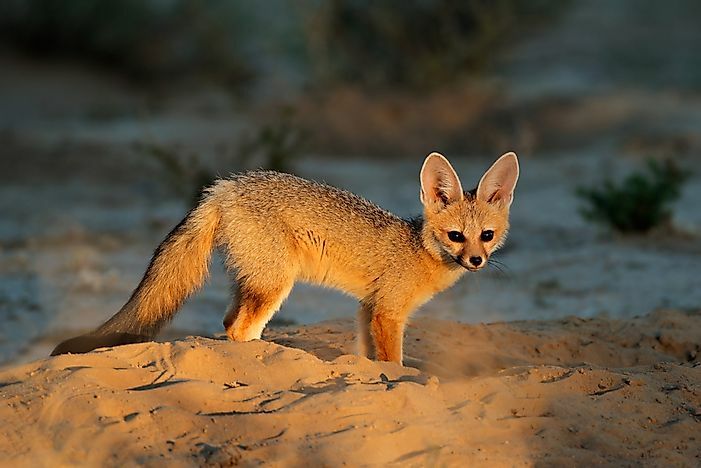 The fox has a pale coat that camouflages it well in the desert landscape and large ears. Although not much is known about this species, the pale fox is estimated to have a relatively large and stable population. 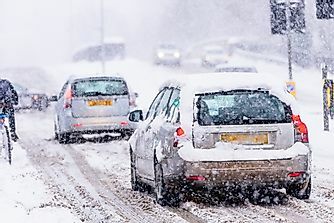 Vehicular accidents and retaliatory hunting by humans are, however, common. Also known as the Afghan fox, dog fox, king fox, and other names, the Blanford's Fox (Vulpes cana) is a small species of the Vulpes genus living in parts of Central Asia and the Middle East. Its habitat includes mountains, steppes, and semi-arid plains regions. 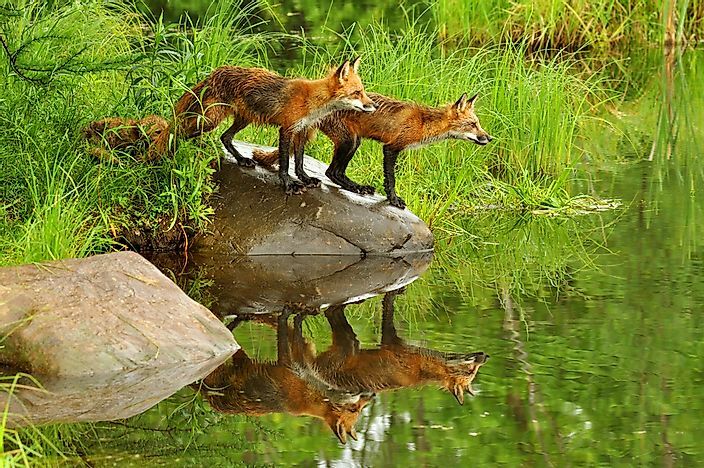 These foxes are specially adapted to climb rocks and jump to ledges. They possess hairless foot pads, sharp curved claws like the cats, and fat bushy tails that help them climb and jump with ease. The Blanford's fox is an omnivorous species which feeds on fruits, crops, and insects. This species has a ‘Least Concern’ conservation status and enjoys protection in some countries where it is found but are hunted for fur in some other places. 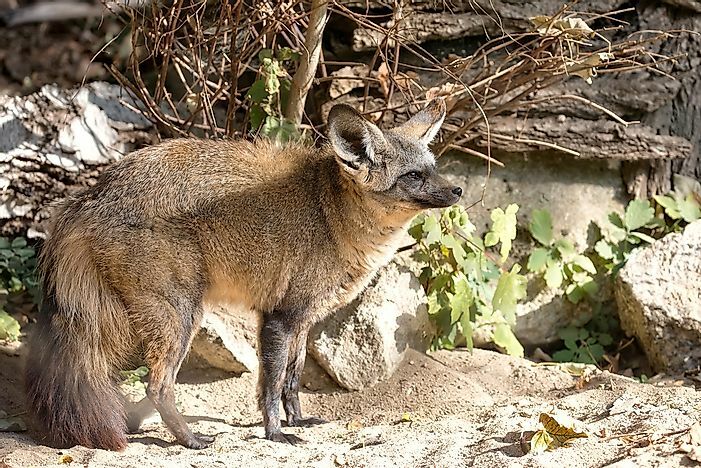 Also known as the silver-backed or cama fox, the Cape Fox (Vulpes chama) occurs in the open country habitats of Southern Africa with significant populations in South Africa, Zimbabwe, and Botswana. The fox has a black-tipped tail and a silver gray fur with yellow sides and ventral parts. The nocturnal Cape fox is an omnivorous species which feeds on fruits, insects, small mammals, and birds. Lions, hyena, hawks, and owls are the natural predators of these animals. 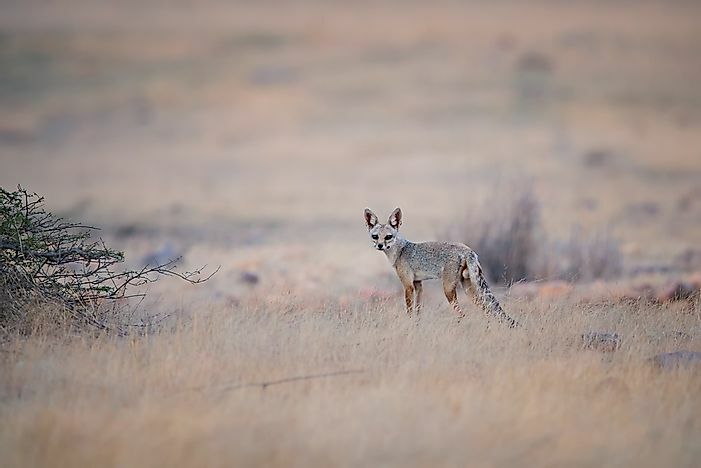 Although the Cape fox is not a threatened species, a large number of these animals are killed in accidental road kills, diseases, and persecution by humans. The Corsac Fox (Vulpes corsac) lives in the Central Asian deserts and steppes with some populations living as far east as northeastern China and Mongolia. 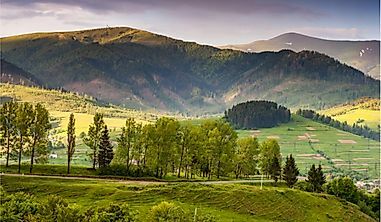 The animals tend to avoid dense forested or mountainous landscapes as well as true deserts and snowfields. The medium-sized fox has yellowish to gray fur with a paler ventral surface. Insects, rodents, carrion and even plant parts constitute the diet of these nocturnal animals. The Corsac fox’s natural predators are eagles, wolves, buzzards, etc. Although these animals are good climbers, they are very slow runners. 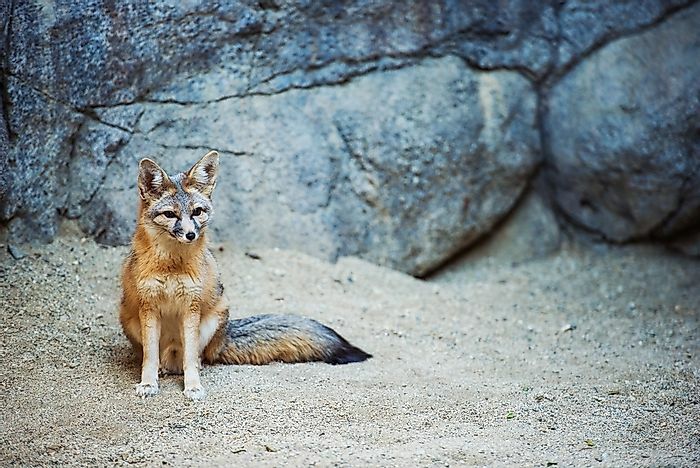 Despite being labeled as a ‘Least Concern’ species, the Corsac fox is threatened by poaching and natural disasters. 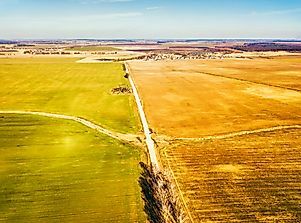 The population of the species fluctuates heavily and can drop by 90% at times but also recover quickly. Another Vulpes species, the Tibetan Sand Fox (Vulpes ferrilata) is found only in the Tibetan and the Ladakh Plateau and the surrounding areas. These animals live in semi-arid and arid grasslands in the region at elevations ranging between 11,500 and 17,100 ft. Plateau pikas, rodents, lizards, hares, etc., are hunted by these foxes. They also feed on the carcasses of larger animals like blue sheep, musk deer, etc., in the region. The Swift Fox (Vulpes velox) is another member of the Vulpes genus and lives in North America’s western grasslands. Its range includes parts of Canada and the US. The species feeds on both plant parts and animals like insects, rodents, etc. The swift fox species was once severely endangered and the recovery of its population to the present status is one of the most successful stories of wildlife conservation. 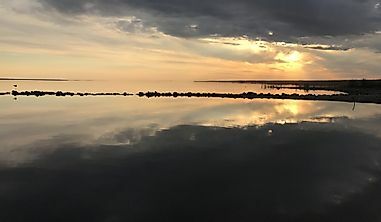 The species was nearly hunted to extinction by humans as a result of predator control programs introduced in Canada and ceased to exist in the country by 1938. However, the reintroduction of the species followed by close monitoring helped the population quickly multiply. Presently, the swift fox is labeled as a ‘Least Concern’ species by the IUCN. The Kit Fox (Vulpes macrotis) is a fox species whose range stretches from central and northern Mexico to the southwestern US. Here, the species prefers to inhabit arid areas like saltbrush and sagebrush habitats. They are also found near human settlements and crop fields in such areas. 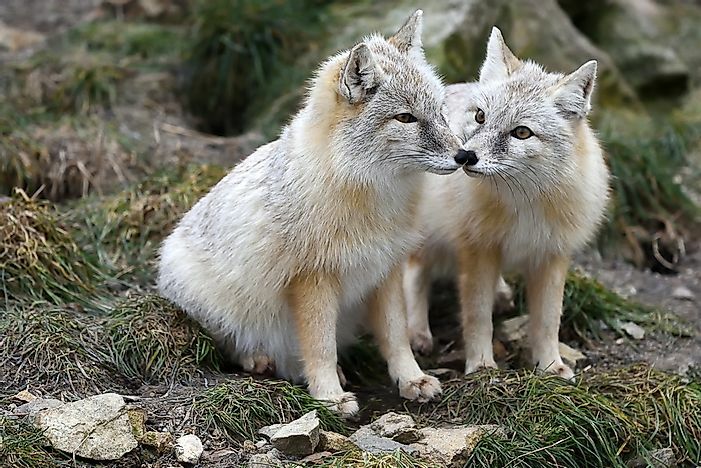 The elevation where these foxes are found range from 1,300 to 6,200 ft. The kit fox is the smallest wild canid found in North America. 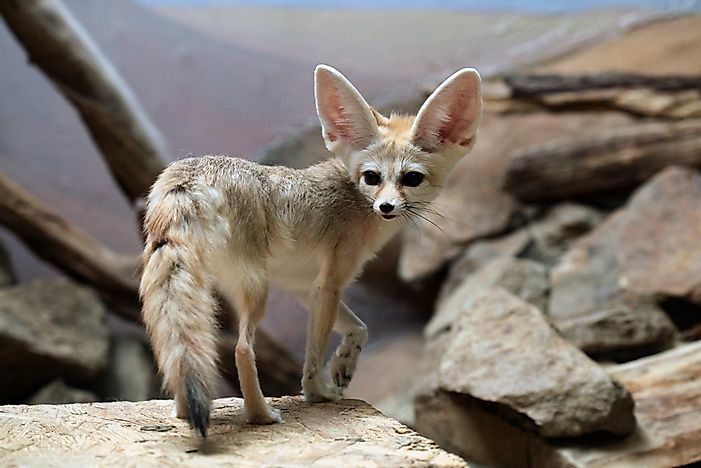 Like other desert foxes, its large ears help dissipate heat and gives it a powerful sense of hearing. The species hunts primarily at night and preys on small animals like rabbits, hares, prairie dogs, reptiles, birds, etc. Rüppell's Fox (Vulpes rueppellii) is found in parts of the Middle East, southwestern Asia, and North Africa. Within its range, the species is found in sandy or rocky deserts, scrublands or steppes. The Rüppell’s is a nocturnal or crepuscular animal with an omnivorous diet. It preys on insects, birds, small mammals, and lizards. It also feeds on succulent plants, grasses, and fruits. The species does not have an amicable relationship with humans in some parts of its range where it is treated as a pest and thus persecuted. However, the widespread distribution and relatively stable populations of the Rüppell's fox leads to its classification as a ‘Least Concern’ species. Also known as the Indian fox, the Bengal Fox (Vulpes bengalensis) is found only in the Indian subcontinent where it is widespread from the Himalayan foothills to southern India. Although these animals are habitat generalists, their preferred habitat is open grasslands and semi-arid thorn or scrub forests. Crepuscular by nature, the Bengal foxes have a wide prey base and also feed on plant parts. Rodents, small birds, reptiles, and invertebrates all constitute the diet of this species. Although the species is listed as ‘Least Concern’ in the IUCN Red List, several threats to their survival exist like lack of habitat protection, hunting, capture, and diseases. The largest member of the Vulpes genus is the Red Fox (Vulpes vulpes). This species has the widest range of all species in the order Carnivora and occurs throughout the Northern Hemisphere. The fox very quickly adapts to its environment, a trait that favors its survival in a wide variety of habitats. Red foxes are not always red but also have different color variants including melanists and albinos. Small rodents are their primary prey but these animals also feed on reptiles, invertebrates, birds, and rabbits. Their natural predators include other larger members of the Canidae family and large or medium-sized felines found in their range. The red fox has for long been treated by humans as a pest or hunted for their fur. Is it True That Styrofoam Never Decomposes?